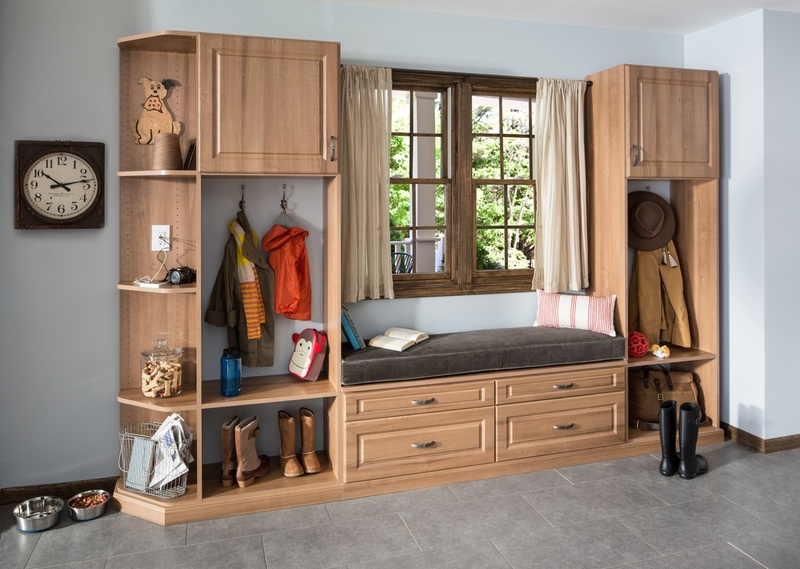 Tame the chaos at the border of indoor and outdoor areas with a complete mudroom storage solution. Open storage and outside corner shelves offer convenient reach-in access, while drawers and doors conceal the rest. The Chateau color with Antique Pewter hardware, Raised Panel drawer fronts, and a built-in window seat help you transform a busy entryway into an inviting part of your home.